Which are the 3 absolute no-gos when it comes to active feedback forms? Once a feedback form is actively used in a survey and feedback has been given, there are a few things you should never do as they will have a negative impact on your results. If you would like to remove a question from a feedback form, simply hide it instead of deleting it. This question is now grey, showing that it has been hidden and your customers will no longer see it in the survey. Changing the meaning of a question completely will have a negative impact on your results. You can change the wording or the length of a question but if you would like to use a completely different question, please hide the original one and create a new one. To demonstrate what would happen, let's change "How satisfied were you with your meal?" to "How was the live music?" and see how it looks in the "Analysis" section if the original question has already been answered by your customers. In this image we see that 14 people have already answered the original question "How satisfied were you with your meal?". If we simply change that question to something completely different, the new answers will simply be added to this figure and you will not be able to differentiate which feedback was given for which question. 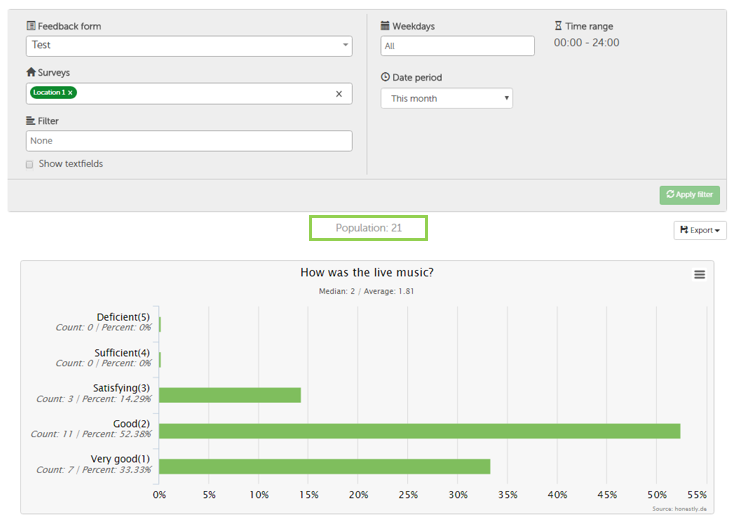 As you can see, the question is now "How was the live music?" but the amount of people who have answered both questions is shown, giving you false data. You need to have created different surveys in the account. 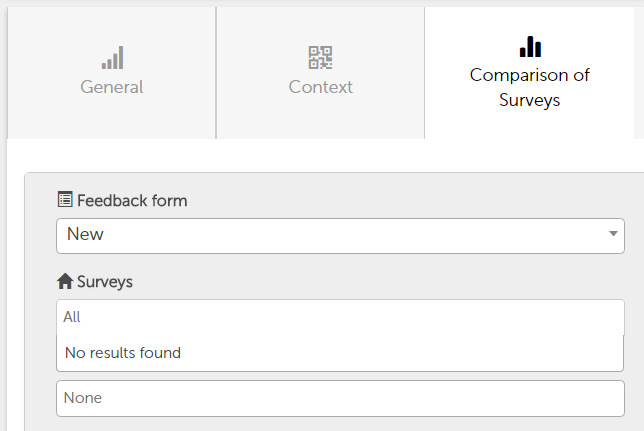 The surveys all need to be linked to the same feedback form. If either of these requirements isn't met, the filter will not work and no results will be found by the system. Click here for more information about creating surveys.